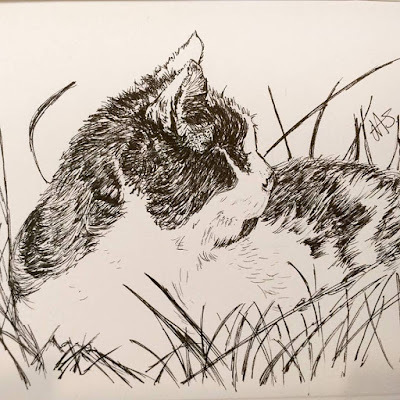 On the back of #inktober, I have apparently acquired a new found confidence in the use of ink and last night decided to have another go at drawing our cat Charlie. I've been reading a little and practising something called blocking in as a method of sketching, so I thought I'd try it on a cat. Charlie is a solid looking animal who lends himself well to being drawn inside a rectangle, so that's what I started with, steadily refining the outline, then completing the sketch in ink pen. 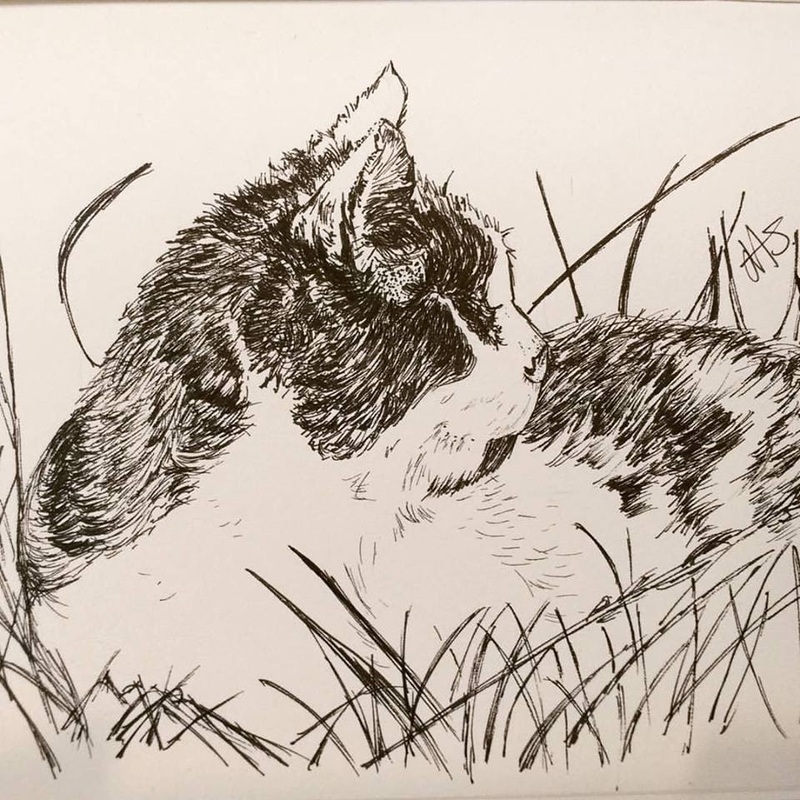 Charlie sunning himself in the garden - drawn in ink. I've no idea if I've done the blocking in process correctly, but I thought the sketch turned out well. At some point I need to find some suitable cat models that have eyes!